The Communist official then stated that he was from Hawaii, but would very soon be elected to the Chicago state legislature. This has turned out to be an eerily prescient prediction, as Barack Obama was not elected State Senator until 1996, a full 4 years afterwards, as he took Alice Palmer’s seat. In 1992, Obama had recently graduated from Harvard Law School and accepted a position as a Fellow at the University of Chicago Law School. Perhaps the most shocking revelation is how deep the Soviet Communist network has embedded itself into American political and educational culture. A quick review of Obama’s political “career” shows a track that wasinexplicably greased, from his tuition payments at Columbia and Harvard, to a position at UOC Law School, to his eventual electoral “victories” at the Illinois State Senate, United States Senate, and U.S. Presidency. Barack Obama’s parents ostensibly met in a Russian language class. 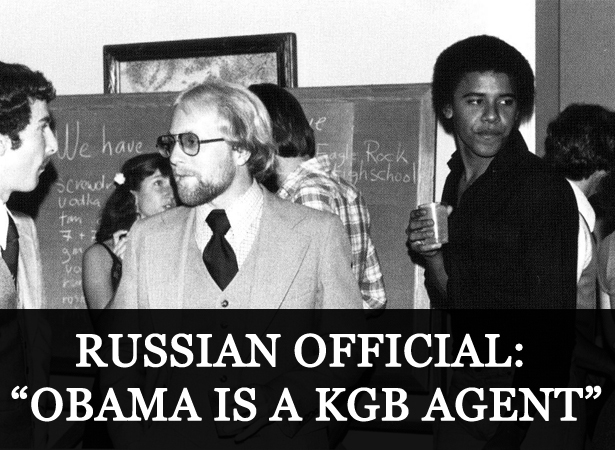 This could have been where his mother was recruited by Barack Obama Sr, who could have already been working undercover for the KGB. “He will be a blessing for world communism,” Fife recalled her saying, after getting over the initial shock of hearing the current president was a KGB agent. The creepy prediction stayed with the physicist upon his return to the United States, although he paid it no mind until he began to hear of an swiftly rising political star named Barack Obama. When Fife learned that this same Barack was running in the 2008 presidential election, everything snapped into place and he knew he had to tell someone. Today, Fife admits that it deeply disturbs him and that he has never been able to shake the ominous feeling of foreboding about what comes next, now that the KGB official’s prediction has come true.